The Mini Ice Gripper ensures that you reach your destination in one piece. 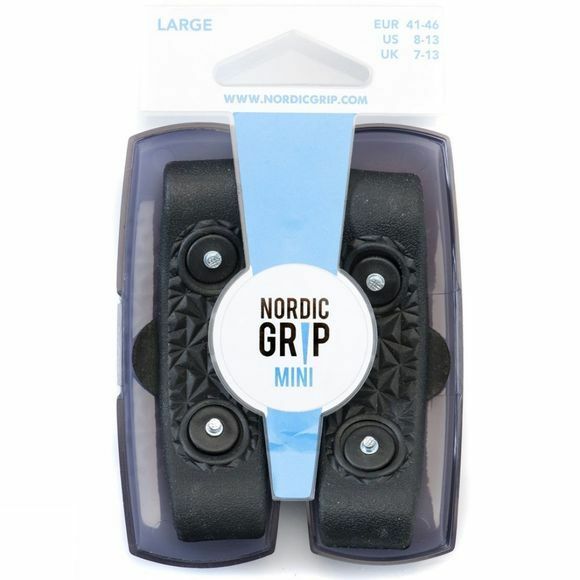 Ideal for short walks the gripper comes with a practical box which easily fits into a small pocket. The gripper is easy to pull over your shoe making it a quick and easy way to avoid slipping.